I’ve been writing professionally since the publication of my first book years ago by the now-defunct Toronto publisher NC Press. A non-fiction, trade book on the ethics and politics of organ transplantation, that book melded my two backgrounds: health sciences and writing. Since then, I’ve published a variety of works including several more trade books, several business books and two text/reference books. In addition to NC Press, my book-length works have been published by Doubleday Canada, Wall and Emerson Inc., and the University of Toronto Press in Canada, Health Administration Press and Lawrence Erlbaum and Associates in the US and Kogan Page in the UK. After these experiences, I began exploring independent publishing. One of my indie books was subsequently picked up by a US-based textbook publisher. I’ve recently begun to explore how my research and writing skills could be applied to new genres. The first area of exploration was in memoir writing which resulted in Another ‘Pointe’ of View: The Life & Times of a Ballet Mom (originally published by a small trade press), and my historical fiction which I’ve published independently. My secret passion, however, is reading & writing chick-lit. We all have a secret, you know! I am also an accomplished writing teacher. I have taught non-fiction writing (news, feature, persuasive) at Mount Saint Vincent University where I still have a day job: I’m a tenured full Professor. An aspiring travel writer and avid traveler, I blog with my travel companion (my husband) about our travel adventures at The Discerning Travelers, and about my publishing journey at Backstory where I’ve lately been exploring the divide between traditional and indie publishing. Secrets…they’re the stuff of everyone’s life. But most of us are not confessing! Thirty-something Alex Harvey has secrets. With her tenth wedding anniversary party looming large, she begins to reassess her choices and her depressingly predictable Yuppie life – a lifestyle heartily embraced by her fastidious dentist husband, Eric. But failing as a Yuppie is only one of her secrets. The other one is even more delicious: unbeknownst to any of her friends or family, Alex has been writing fabulously successful women’s erotica for years, and occasionally her characters invade her life. On the occasion of her tenth wedding anniversary one sticky June night, the secrets begin to emerge. By the time the party is over, life will never be the same again…for anyone. 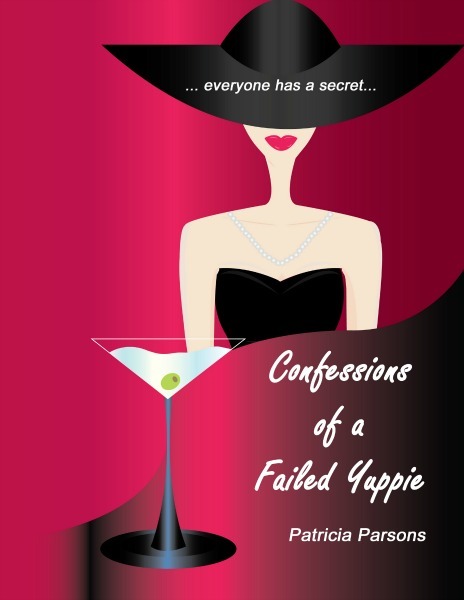 Join Alex for a hilarious romp toward complete candor, and raise a martini glass to being who you are. 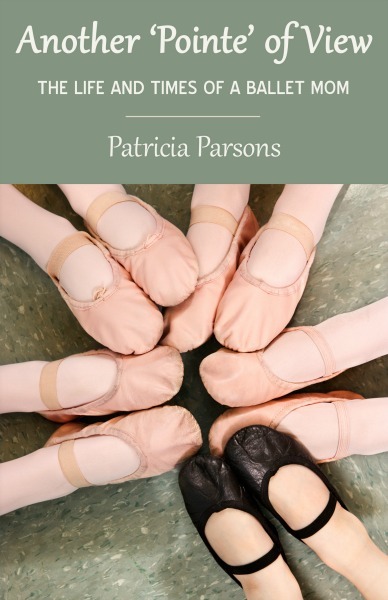 …and just that quickly author Patricia Parsons became a ballet mom, and the journey through the landscape of the elite ballet world – always as an outsider – began. When she left her eleven-year-old son hundreds of miles from home at Canada’s National Ballet School, she was unprepared for this journey that eventually taught her important lessons about preparing a child for his own path. Another ‘Pointe ’of View: The Life & Times of a Ballet Mom is her story. To most people it would have seemed like an obscure article in an obscure academic journal. To author P.J. Parsons, it was a challenge. The article called into question the authorship of music attributed to twelfth century mystic Hildegard of Bingen. This is the story of two women, Hildegard and her childhood friend Lysanor of Rupertsberg, both ahead of their time in many ways. 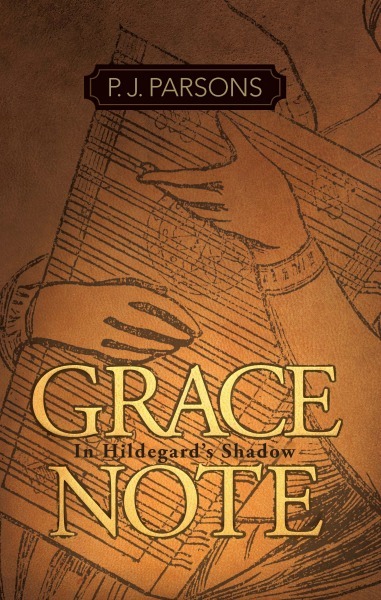 Hildegard becomes a twenty-first century saint and icon. The other is but a grace note – an embellishment of secondary importance. But their lives intertwine in ways that challenge both of them, taking them into experiences they could never have imagined. And both, in their own ways, have left a legacy to the generations that followed. This is Lysanor’s own story about her life – and the life of her friend, the mystic. While teaching at a Canadian university, ex-pat American English professor Sean O’Hara stumbles on the diary of his great-great-great grandmother, Bridget Ryan. 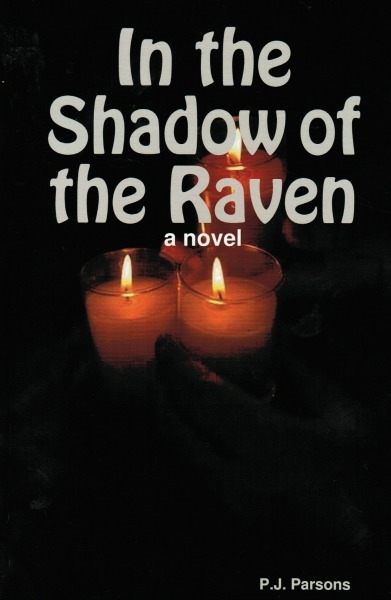 With a doctorate in English literature based on the work of Edgar Allan Poe, Sean is drawn into Bridget’s story when he discovers that she and Poe were contemporaries, and more than that, it appears they were friends for a time. The story sweeps us into Bridget’s life in Boston and Baltimore, as we begin to piece together the mystery that still surrounds the final few days of Poe’s life. When the diary begins in 1825, 16-year-old Bridget’s one burning desire is to follow her widower father’s footsteps into medicine – she desperately wants to be admitted to the medical school. Having never admitted a woman before, the school has no intention of doing so now. Thus, Bridget is faced with finding another path for her life. This is Bridget’s story of how she came to know Edgar Allan Poe. Haunted by a medical journal article titled “The Life and Addictions of Edgar Allan Poe” author P.J. Parsons conjures a story of what might have been. Rich in carefully researched historical detail, this book is one answer to what really might have happened to Poe in those last, lost days of his life – and who the mysterious stranger who to this day places three roses and cognac on Poe’s grave every year in the wee hours of the morning on his birthday might be.